Warming up for a bumper year of celebrations! Councils start to gear up for a bumper year of celebration! Much of the buzz this month has been around council plans for celebrating both the Queen’s Diamond Jubilee weekend and this summer’s Olympic Games in London. Many councils have set up funding to help their citizens to get in the party mood – East Dorset council announced it would be setting up a grant of £30,000 causing widespread media attention and catapulting them to the pole position in our Top 20. Newark and Sherwood Council and Basingstoke and Dean Council were also among the headliners in one of the top national news stories in January. As the preparations continue it will be interesting to monitor the impact the two big events of this year have on council reputation and the amount of buzz they generate. It looks like many councils will be capitalising on what the LGA have predicted will be a bumper year of celebrations and an ideal opportunity to raise community spirit and engage in some positive communications. 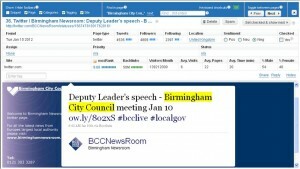 Birmingham City Council are successfully streaming live video of their council meetings over the internet and using twitter to publicise their events. With over 4,700 followers on Twitter (many of which are proactive retweeters), and a consistent communication strategy – this is a really cost effective way of engaging and educating the community in council business. This is a great example of using social media to create your own buzz and opening up dialogue with citizens. 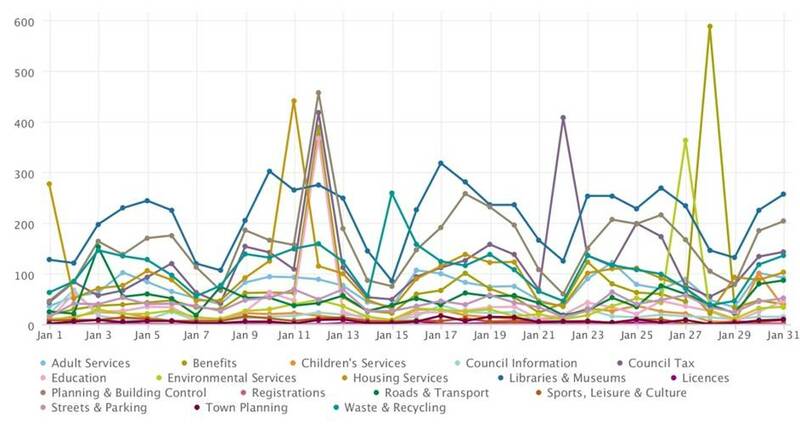 We can see some significant peaks in activity occurring during January, the most notable being the reaction to the Welfare Reform Bill which created nationwide media coverage of the protesting groups and the Government rebuttal that ensued. 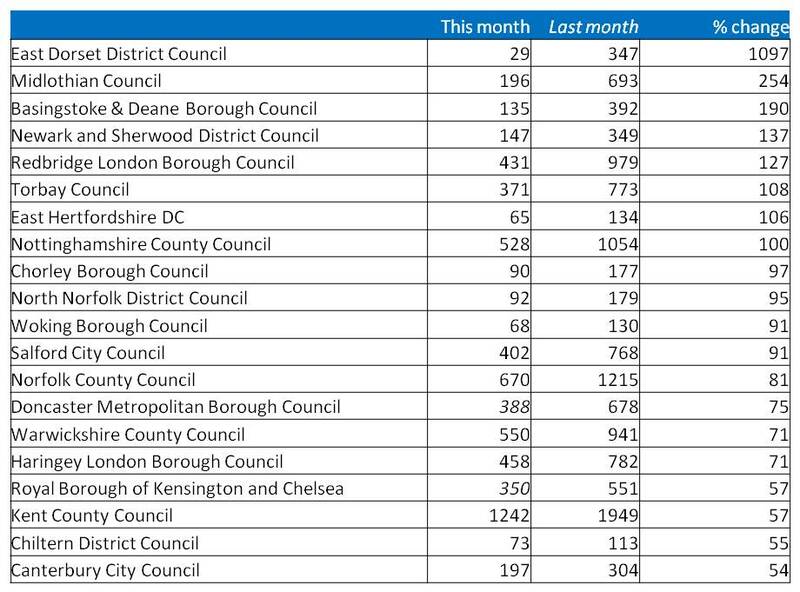 Council Tax was also causing a storm this month as it was revealed that some local authorities would reject Government funding initiatives to freeze council tax bills and increase council tax for residents by up to 3.5%. Look out for next month’s service index and the headline stories that have been talked about. And this months Media Mix results show that there was still plenty of news to be had in January, however the Twitter volumes fell for the second month in a row….